Xofluza was approved based on results from the phase III CAPSTONE-1 study of a single-dose of Xofluza compared with placebo or oseltamivir 75 mg, twice daily for five days, in otherwise healthy people with the flu, as well as results from a placebo-controlled phase II study in otherwise healthy people with the flu. Xofluza significantly reduced the duration of flu symptoms compared to placebo, and demonstrated similar efficacy compared to oseltamivir. In clinical trials, Xofluza was safe and well-tolerated with a side effect profile similar to placebo. The CAPSTONE-1 and phase II study results were recently published in the 6 September 2018 issue of the New England Journal of Medicine. Similar efficacy results were seen between Xofluza and oseltamivir in relation to duration of symptoms (median time 54 hours versus 54 hours). The most common adverse events reported were diarrhoea (3.0%), bronchitis (2.6%), nausea (1.3%) and sinusitis (1.1%), and all of these adverse events occurred at a lower frequency than placebo. The study was conducted in the US and Japan by Shionogi & Co., Ltd.
Roche recently announced that the global phase III CAPSTONE-2 study assessing the safety and efficacy of Xofluza in people at high risk of complications from the flu, as defined by the Centers for Disease Control and Prevention (CDC), met the study’s primary objective and showed superior efficacy in the primary endpoint of time to improvement of influenza symptoms versus placebo.Xofluza will also be further studied in a phase III development programme including paediatric populations, post-exposure prophylaxis and severely ill hospitalised people with influenza, as well as to assess the potential to reduce transmission in otherwise healthy people. Xofluza was discovered by Shionogi & Co., Ltd. and is being further developed and commercialised globally in collaboration with the Roche Group (which includes Genentech in the US). 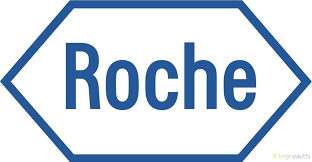 Under the terms of this agreement, Roche holds worldwide rights to Xofluza excluding Japan and Taiwan, which will be retained exclusively by Shionogi & Co., Ltd. Xofluza was approved in February 2018 by the Japanese Ministry of Health, Labour and Welfare for the treatment of influenza types A and B in adult and paediatric patients, and is being commercialised in Japan and marketed under the brand name Xofluza®. Influenza, or flu, is one of the most common, yet serious, infectious diseases, representing a significant threat to public health. Globally, annual epidemics result in 3 to 5 million cases of severe disease, millions of hospitalisations and up to 650,000 deaths worldwide. [6-9] Roche has a long heritage in developing medicines that contribute to public health. We are committed to bringing innovation in the field of infectious diseases, including influenza. TamifluTM (oseltamivir) has made a significant difference both to the treatment of seasonal influenza as well as in the management of recent pandemics, and we are proud to have brought this innovative medicine to patients. Although vaccines are an important first line of defence in preventing the flu, there is a need for new medical options for prophylaxis and treatment. Current antiviral drugs have limitations with respect to efficacy, convenience of dosing, and resistance. Roche is committed to addressing the unmet need in this area through its agreement with Shionogi & Co., Ltd. to develop and commercialise Xofluza. T. Noshi et al. S-033447/S-033188, a Novel Small Molecule Inhibitor of Cap-dependent Endonuclease of Influenza A and B Virus: In Vitro Antiviral Activity against Laboratory Strains of Influenza A and B Virus in Madin-Darby Canine Kidney Cells. Poster presentation at OPTIONS IX, August 2016. World Health Organization. Influenza (Seasonal) [Internet; cited 2018 Oct]. Available from: http://www.who.int/mediacentre/factsheets/fs211/en. Centers for Disease Control and Prevention. Estimated Influenza Illnesses, Medical Visits, Hospitalizations, and Deaths Averted by Vaccination in the United States. [Internet; cited 2018 Oct]. Available from: https://www.cdc.gov/flu/about/disease/2015-16.htm. Ison M, et al. CAPSTONE-2 trial. Infectious Disease Week; 2018 Oct 3-7; San Francisco. CA, USA. Abstract #LB16. Available from: https://idsa.confex.com/idsa/2018/webprogram/Paper74204.html.